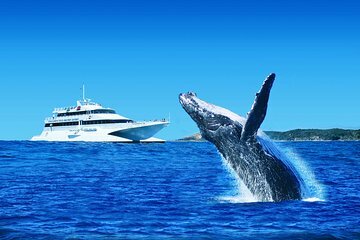 Spot one of the most incredible creatures of the ocean on this whale watching cruise off Moreton Island. Your vessel is Australia’s largest purpose-built whale-watching boat, and it’s a comfortable base from which to watch these enormous creatures in their natural habitat. Have lunch on board, before enjoying a stop at Tangalooma Island Resort for some beach time.